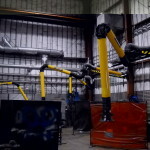 Source Capture of Machine Oil and Welding Smoke using Fume Extraction Arms, Portable Extraction Unit, and Air Cleaners. 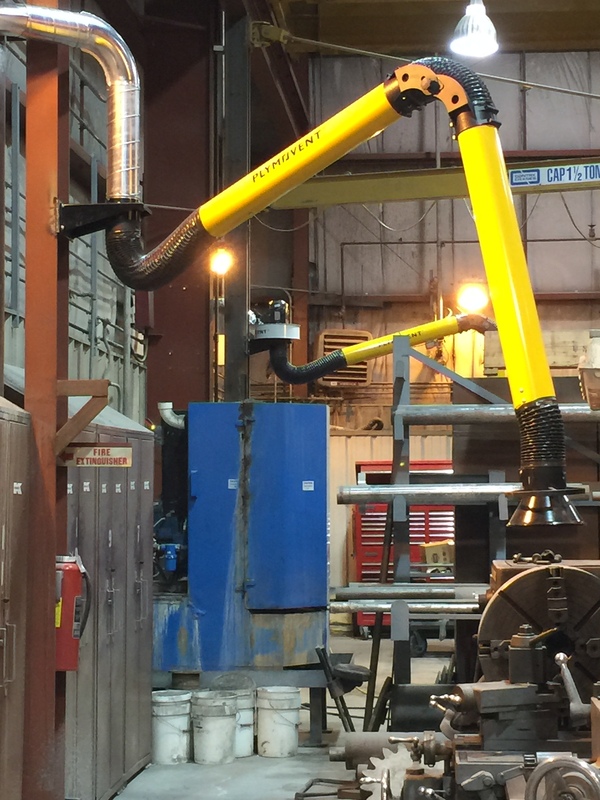 Multiple welding fume and smoke extraction arms for large on-floor projects at a power plant. 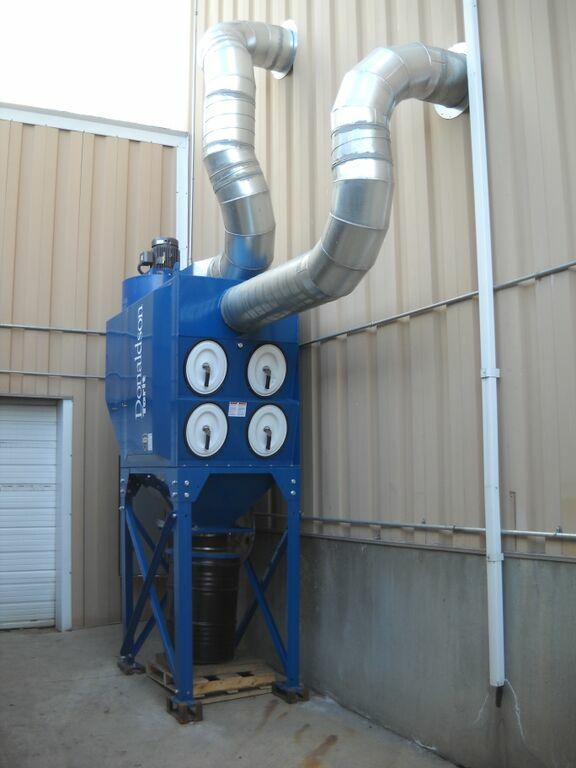 Pulse jet cartridge dust collector. 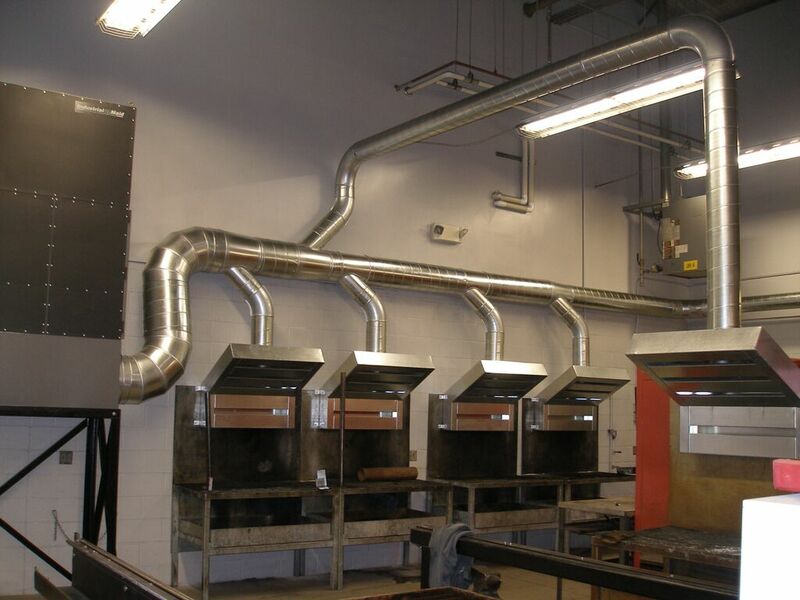 System included thirteen arms and ducting system. 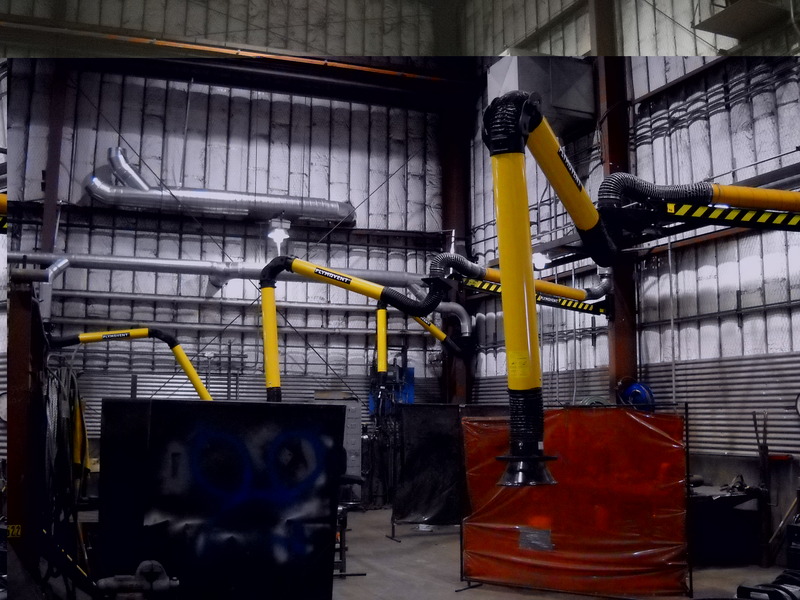 Multiple welding table workstations. 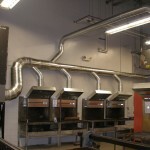 Industrial fume and smoke collector, backdraft hoods with side shields, ducting system. 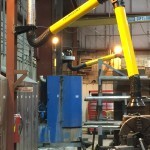 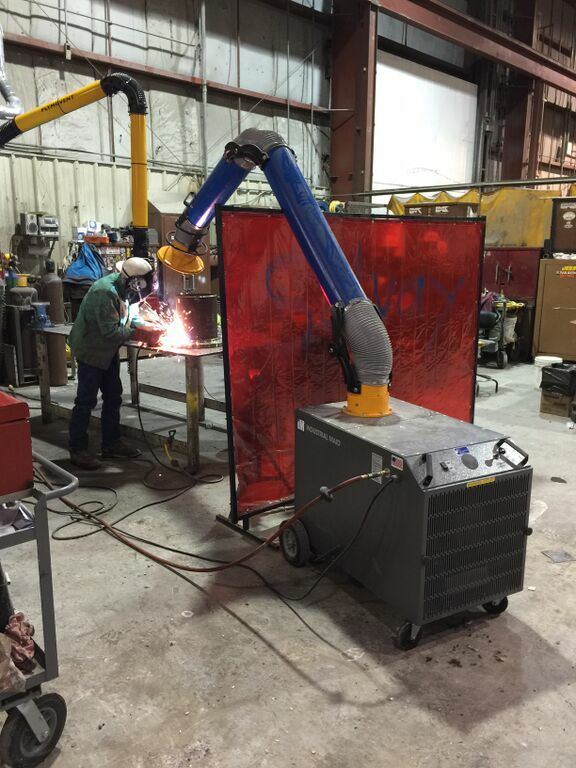 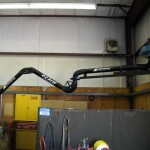 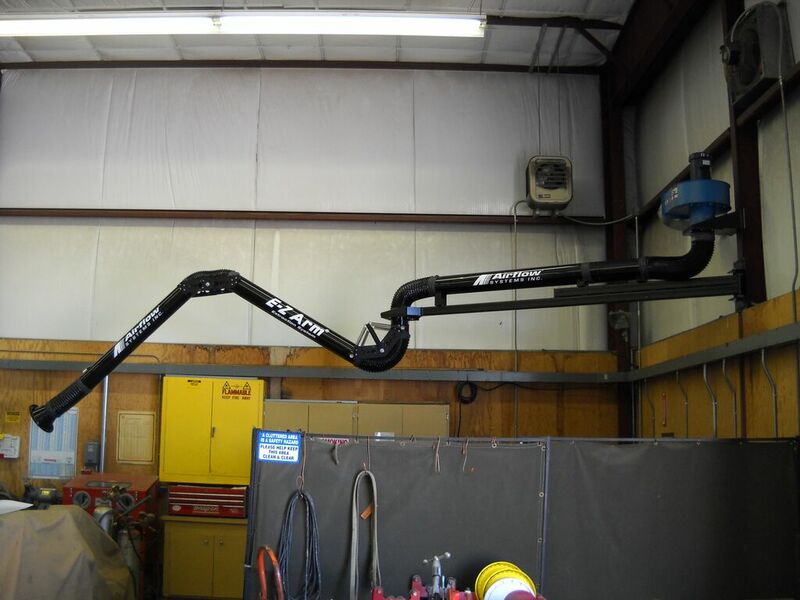 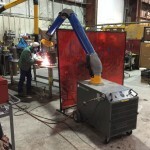 Source Capture Welding Fume Extraction Arm. 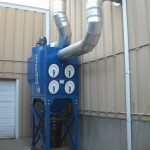 Fourteen foot long arm, ten foot boom arm, 1.5 HP Direct Drive Fan.